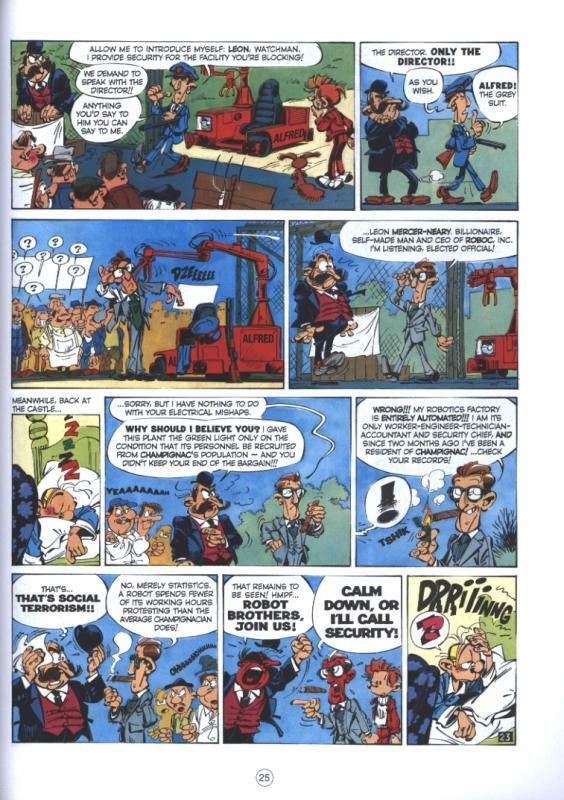 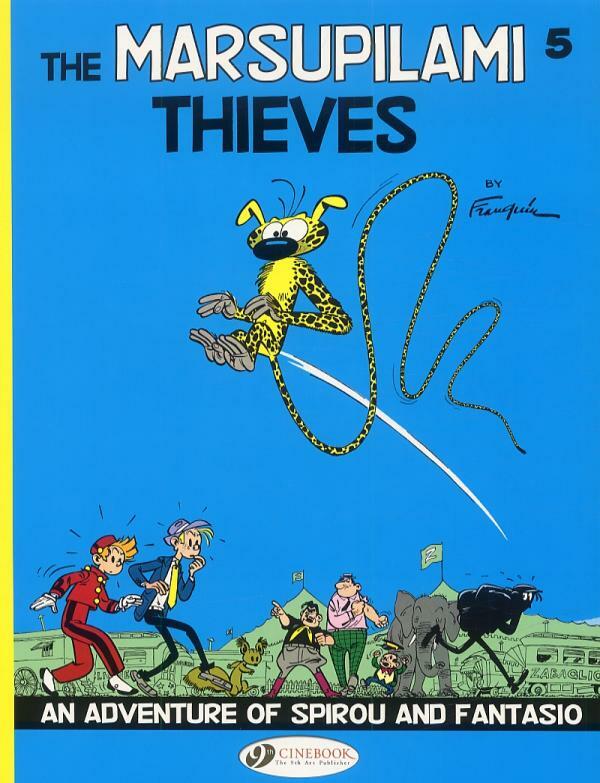 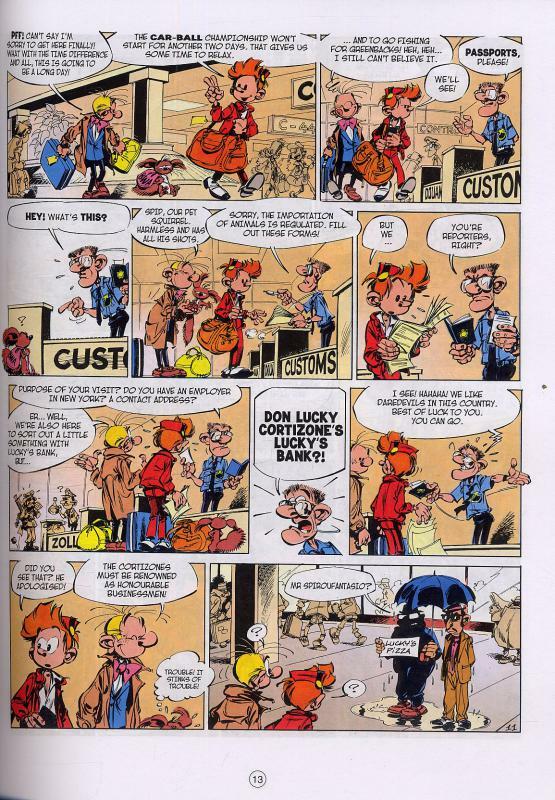 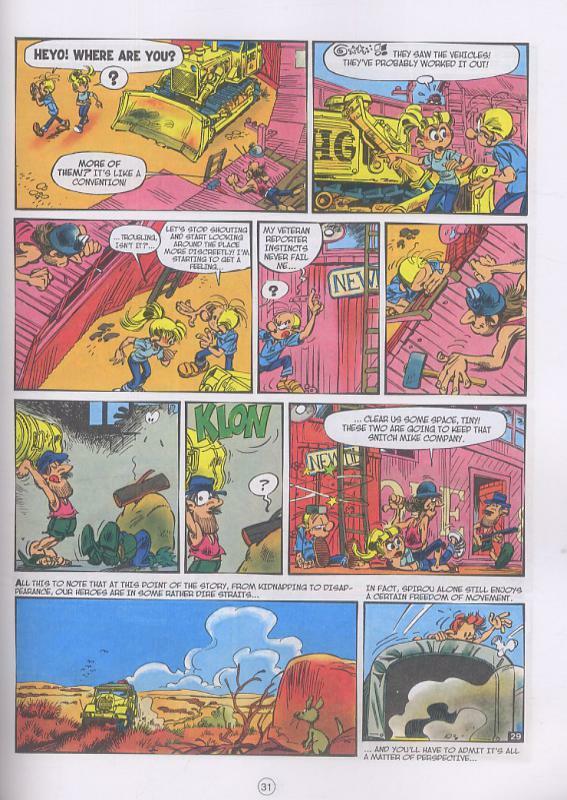 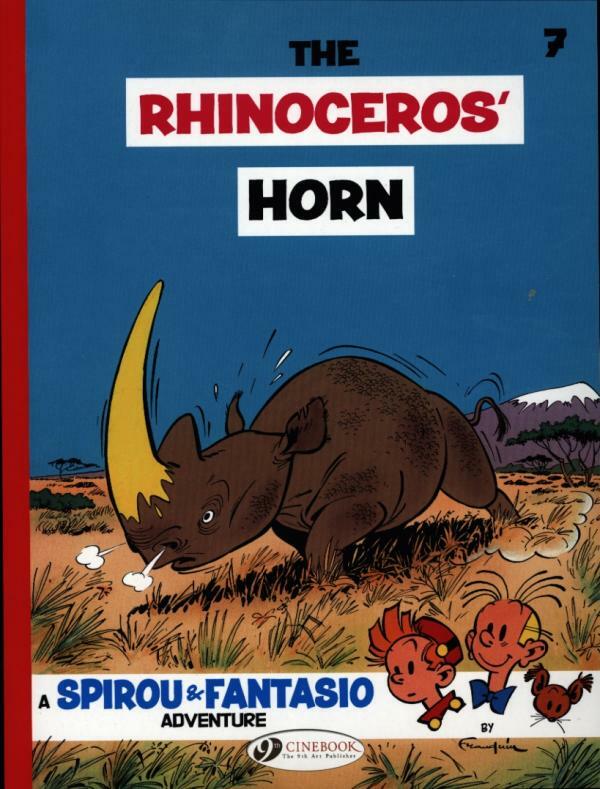 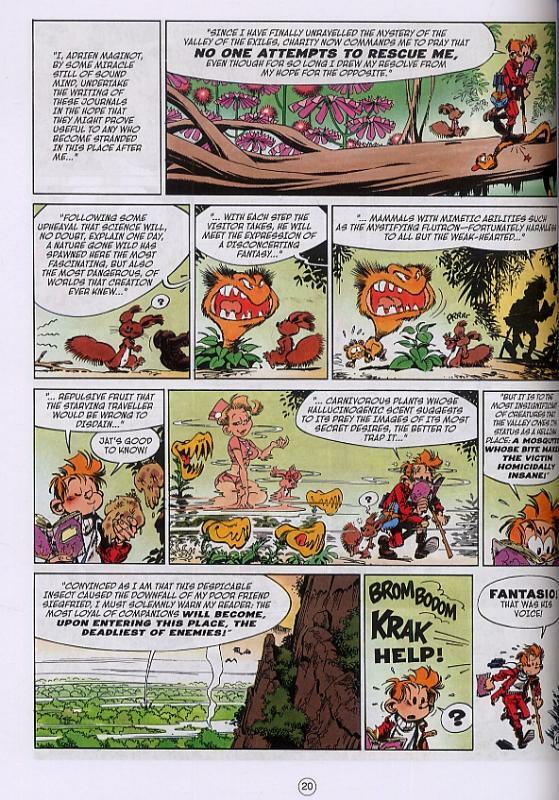 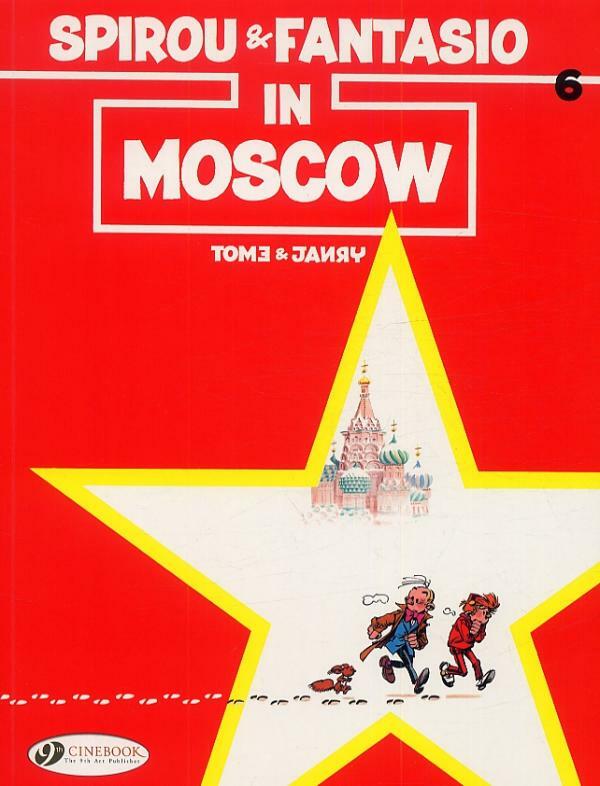 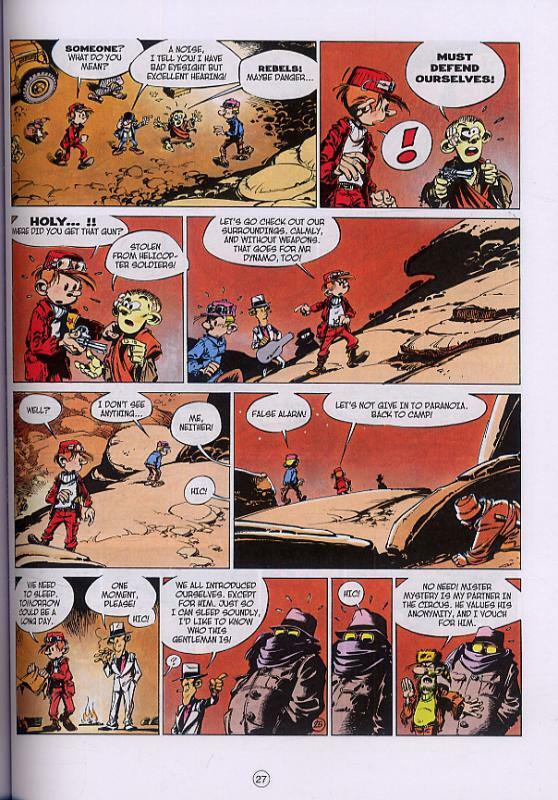 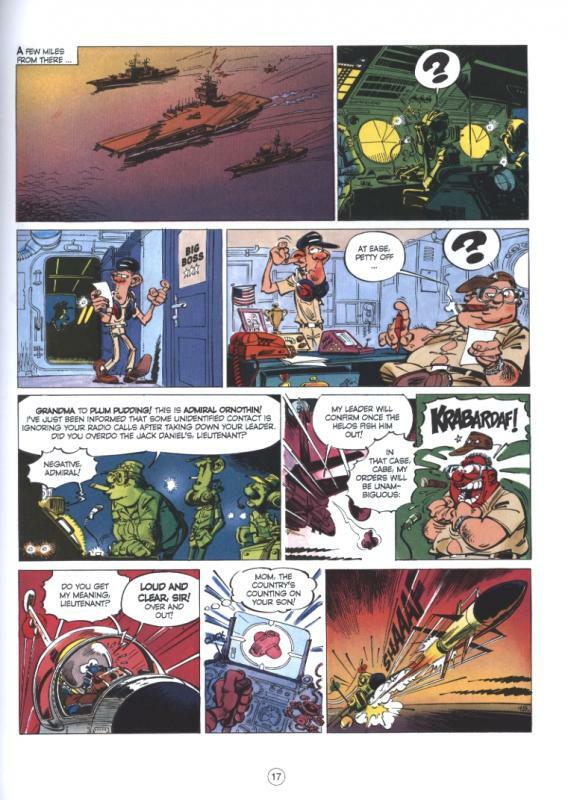 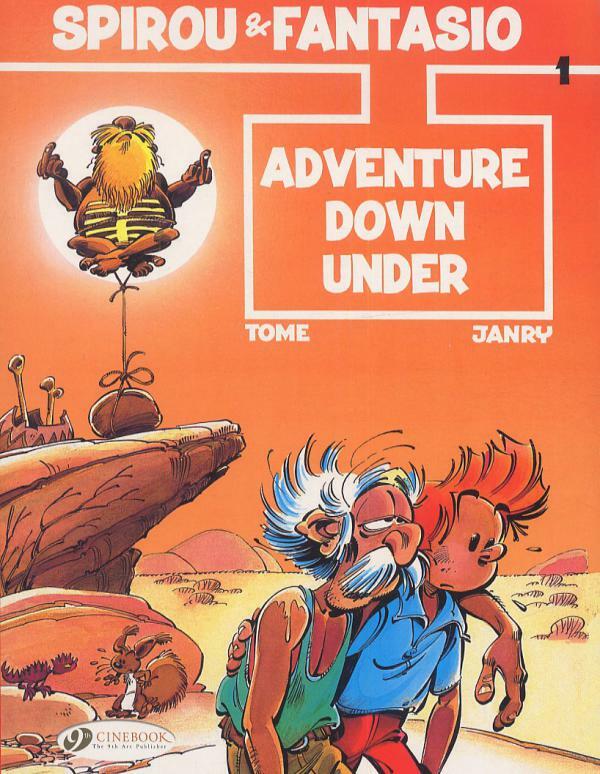 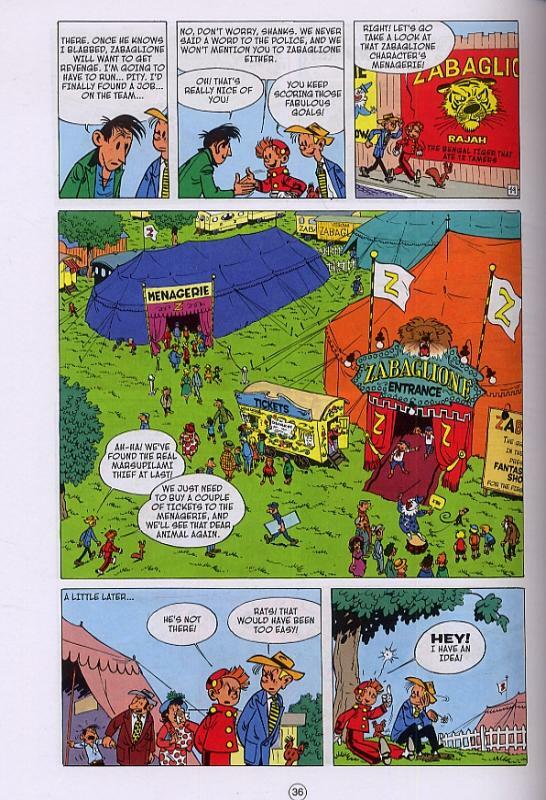 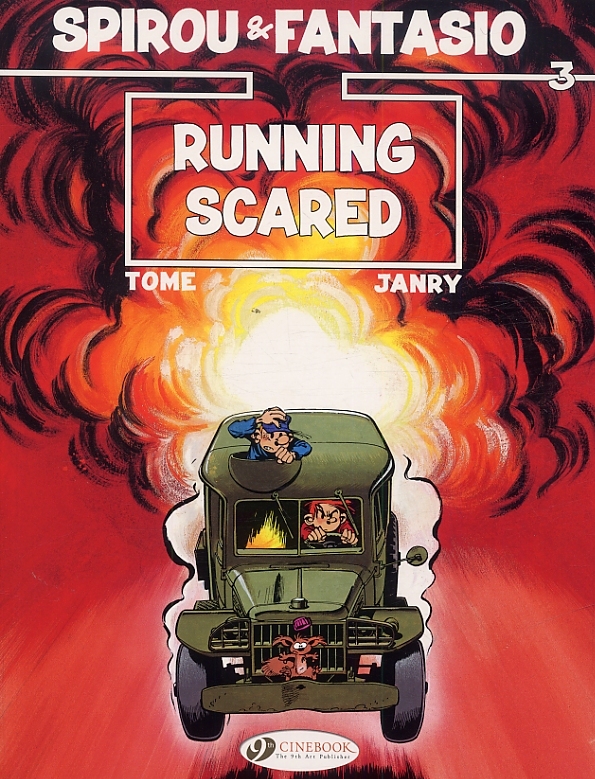 Version anglaise de Spirou : Aventure en Australie T34. 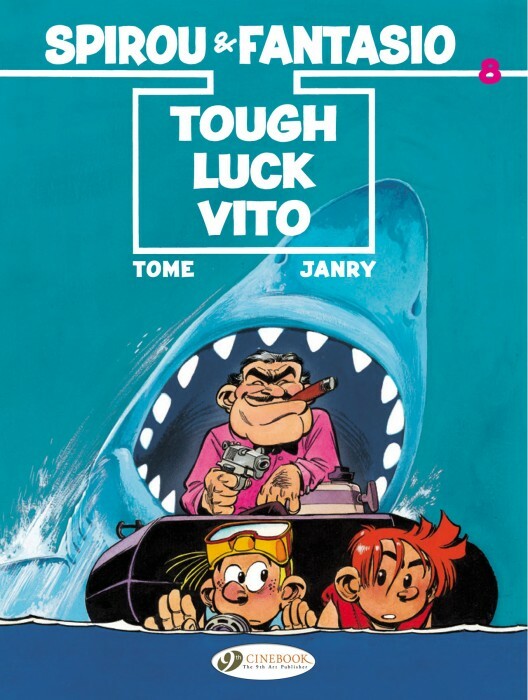 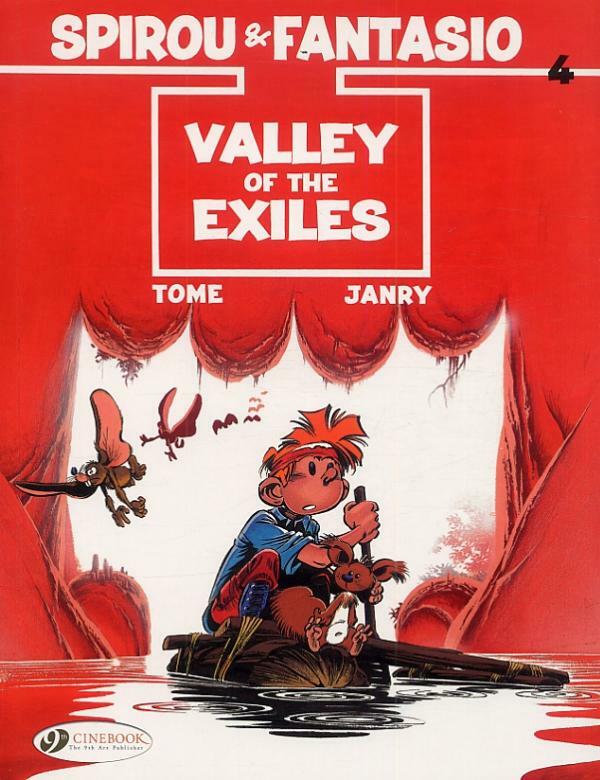 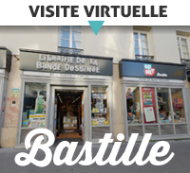 Ce tome 15 en version anglaise correspond au tome 16 de la série en version française. 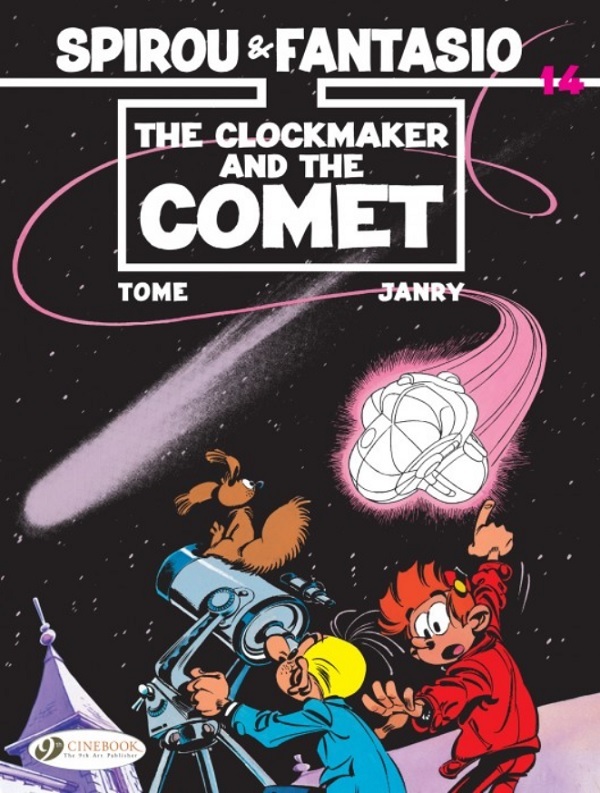 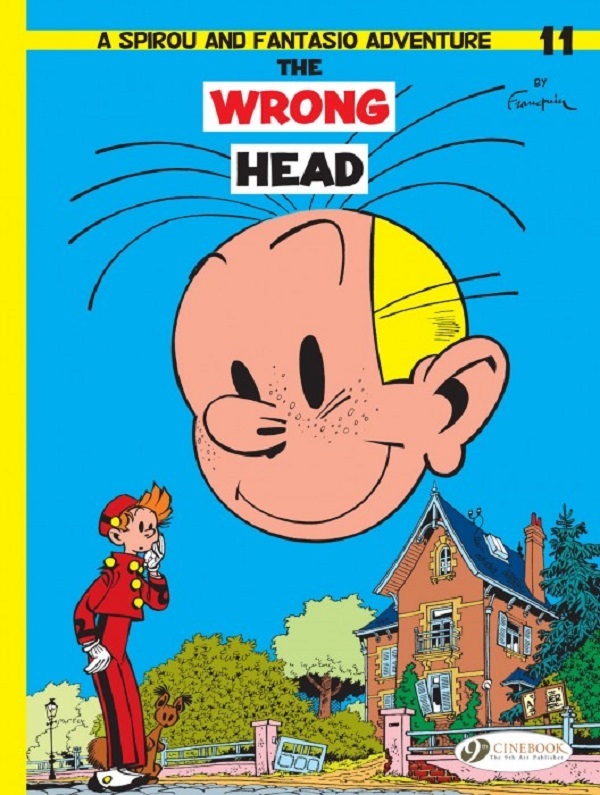 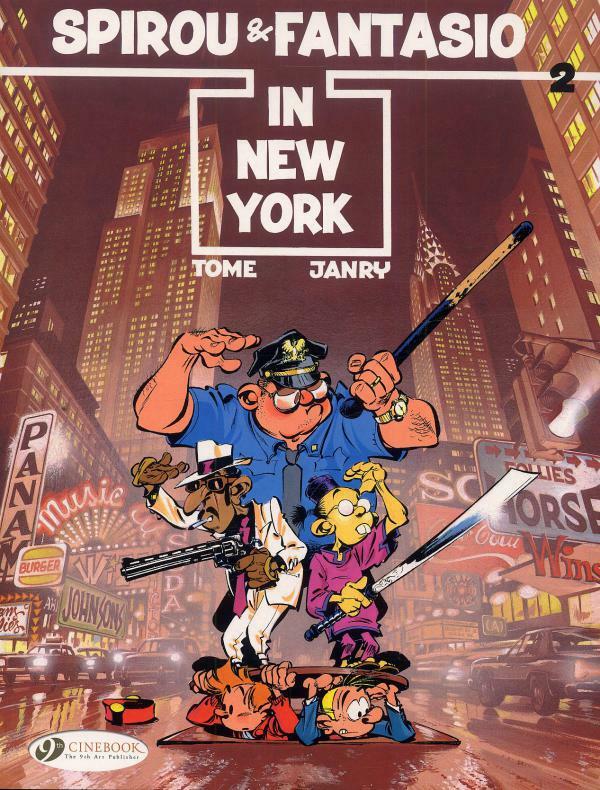 Ce tome 14 en version anglaise correspond au tome 36 de la série en version française. 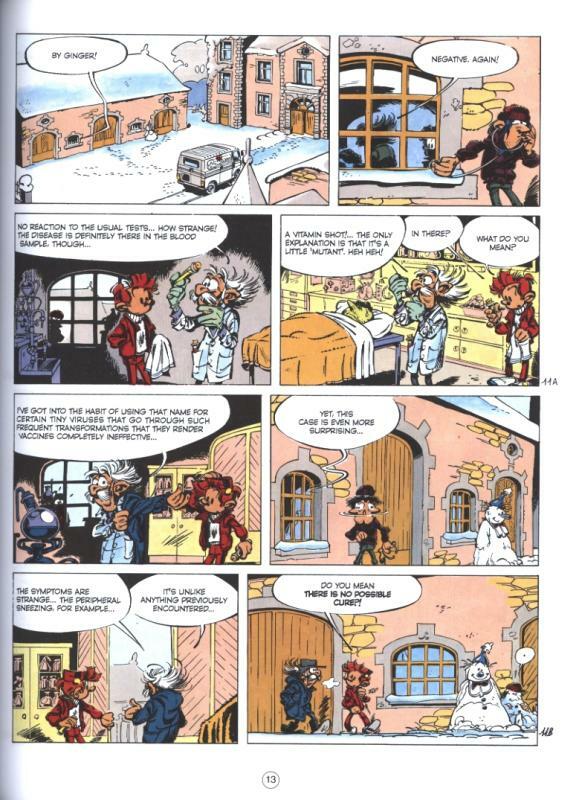 A hairdryer sent by an unknown party temporarily turns Fantasio into a docile automaton. 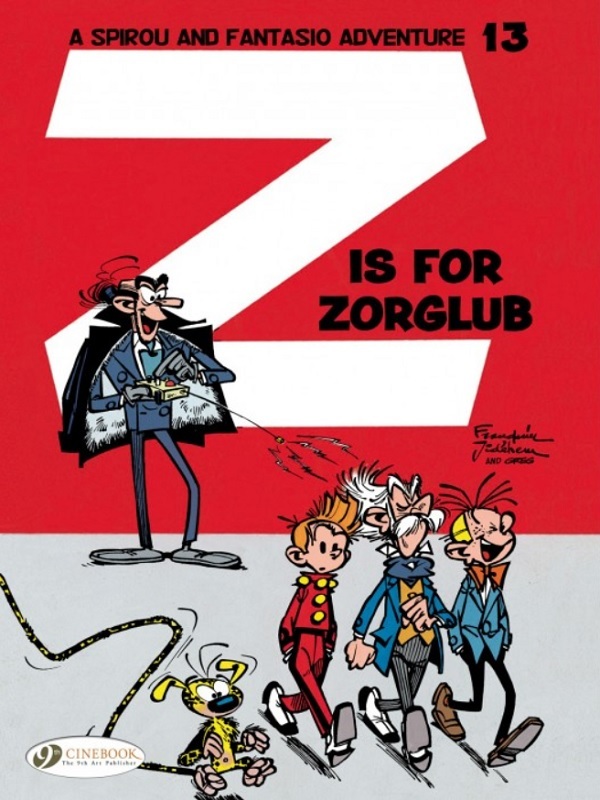 Coming to his senses in a moving, but driver-less, car, he hears the voice of his abductor, who introduces himself as Zorglub. 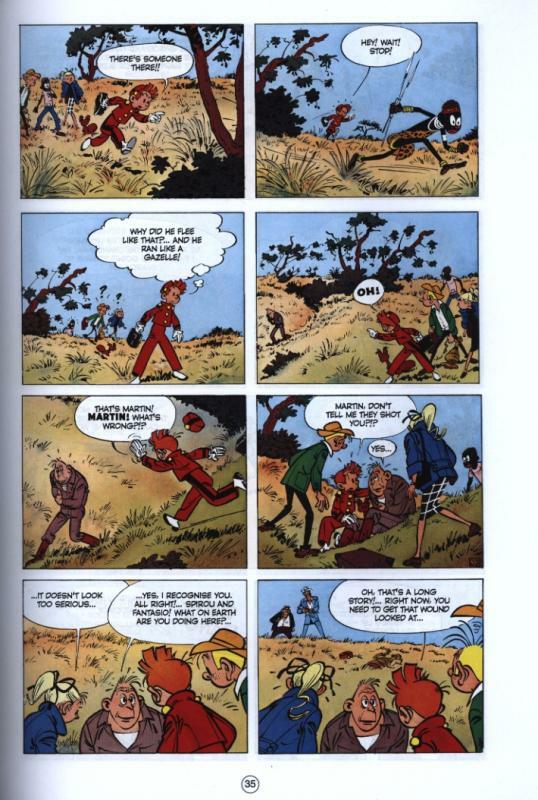 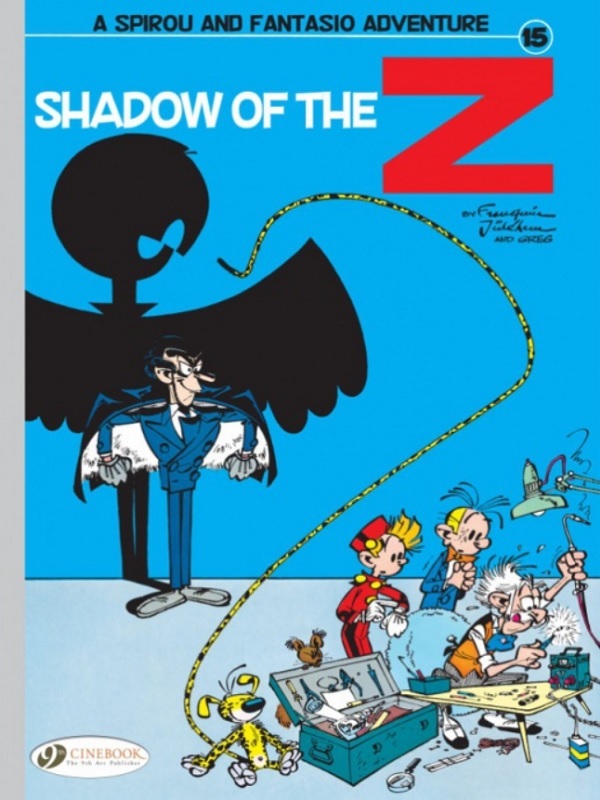 When an accident allows Fantasio to escape, the mysterious kidnapper tries again with Spirou. 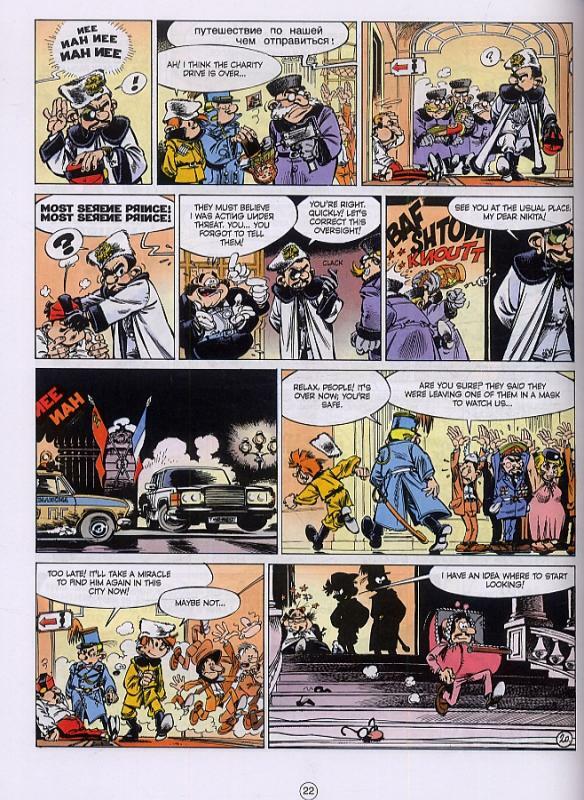 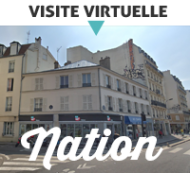 In fact, the abductions’ only purpose is to send the Count of Champignac a message – he and Zorglub are old acquaintances. 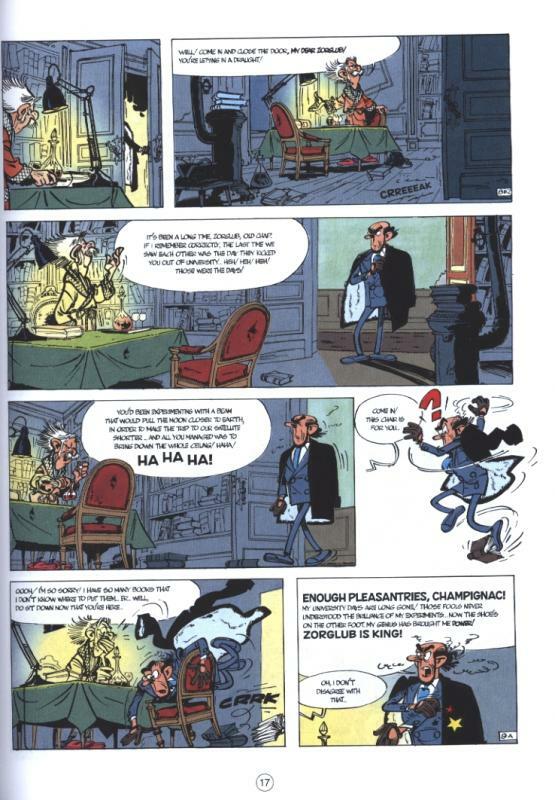 But what is the enigmatic genius planning? 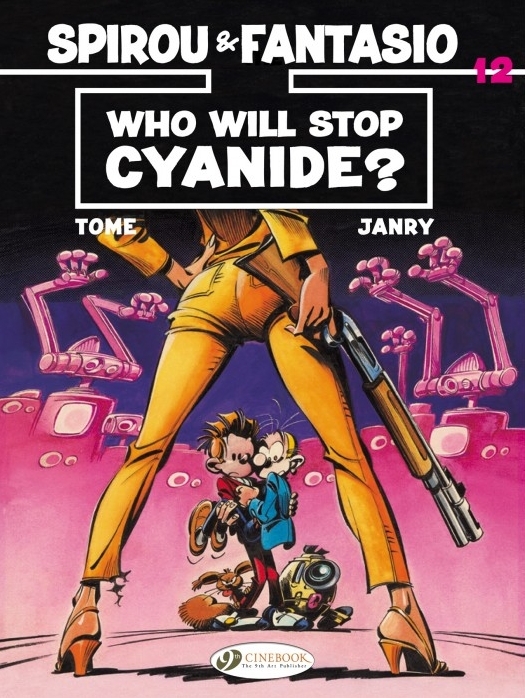 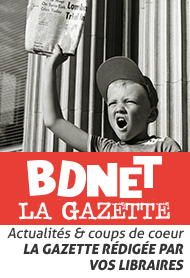 Titre : Who will Stop Cyanide? 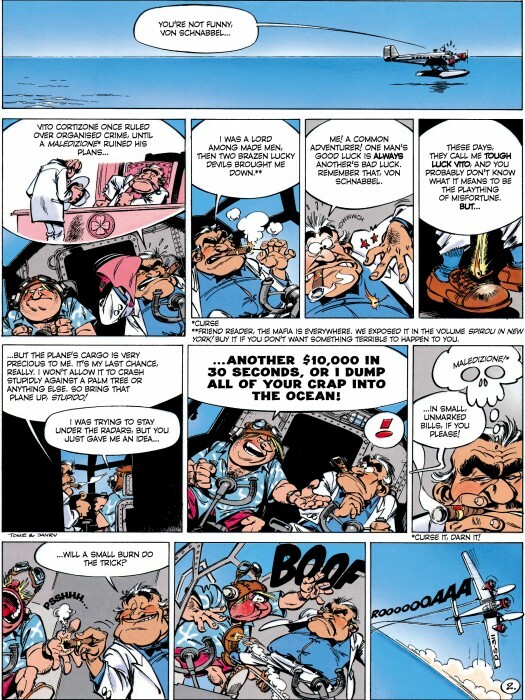 - Qui Arrêtera Cyanure ? 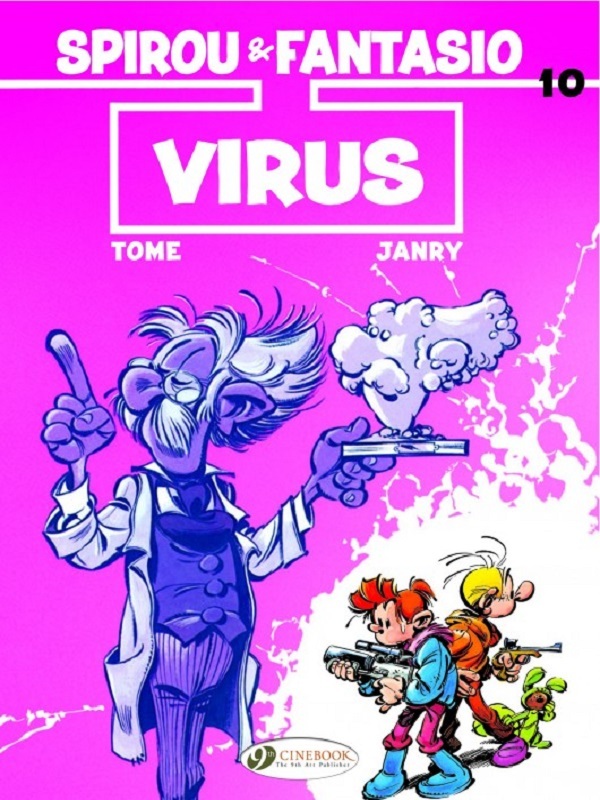 Cet album correspond au tome 35 de l’édition française.